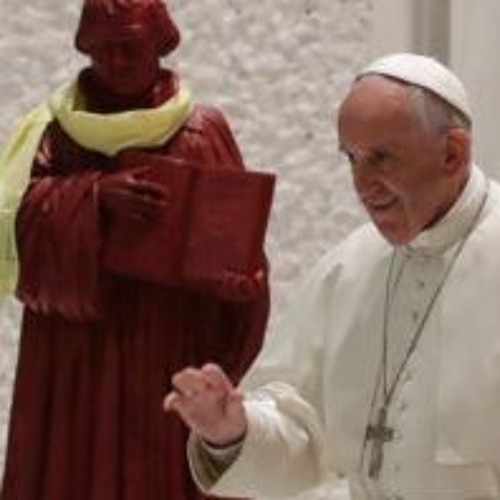 Original Air Date: November 29, 2016 In this episode of Francis Watch, Bishop Sanborn takes on: -Francis before, during, and after the commemoration of Luther in Sweden. -God’s greatest enemy…money! -Allergy to Flattery -Young people who like the True Mass are “rigid.” -New Beatitudes -Mention of the SSPX in the “apostolic letter” Misericordia et Misera. -Yet another joint declaration…this time with the Anglicans. -The “intervention” of the 4 Cardinals in regards to Amoris Laetitia. -The “resistance” of Cardinal Burke. -Louie Verecchio finally abandons Francis. -“Fat Lady Watch” - what’s next for the SSPX? Take a listen to hear a truly Catholic take on these and other absurdities issued from the ongoing shock that is a Bergoglian non-pontificate. Show Sponsor: Novus Ordo Watch https://novusordowatch.org Francis Watch’s 2014-2017 seasons, previously only available to the paid members of Restoration Radio, have been made public via the generous sponsorship of Novus Ordo Watch. You can listen to over thirty of these episodes at the link below, the first of which was recorded only months into the non-pontificate of “Call me Jorge” Bergoglio. 2014-17 soundcloud.com/franciswatch/sets | 2013 soundcloud.com/truerestoration/sets/jorge-bergoglio-francis You can learn more about the work of Bishop Sanborn at mostholytrinityseminary.org. Original Air Date: November 29, 2016 Show Run Time: 2 hours 2 minutes Show Guest(s): Bishop Donald Sanborn Show Host(s): Stephen Heiner Francis Watch℗ is sponsored by Novus Ordo Watch. Copyright 2016. All Rights are Reserved. Duplication is with explicit written permission only.